Another shot from a neighbors garden. 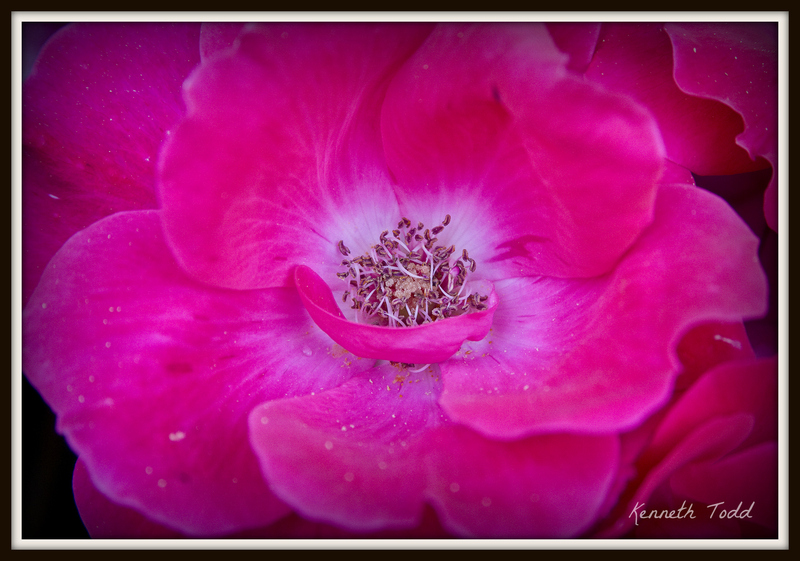 This Pink Rose, wide open, a piece of petal nestled in, a few drops of water lingering and scattered pollen. One of my favorites. Again, thanks to all follows and comments, although I can’t respond to everyone right now, I SINCERELY appreciate it and am humbled too. Apparently I have over 40,000 hits with this little project. I love you all. Enjoy your weekend’s. Still skulking around the neighbor’s garden, eh? Just gorgeous; prettiest pink I think I’ve ever seen. No worries about replies … 40,000 hits is terrific!